NOTE: This article has been republished due to popular demand – it was removed when I migrated to the Word Press platform – thanks to all whom requested it back! I am really sorry for what is a real lack of posting on the site recently. I have been writing – just not as much as I would like, and indeed for other sites (Exchange @ TechTarget – more on this in a later post and the ESE Blog). However in themselves they are not the primary reason as to why I have not been as diligent my posting, essentially I have been very busy on my latest work project which – shock horror is not Exchange related. 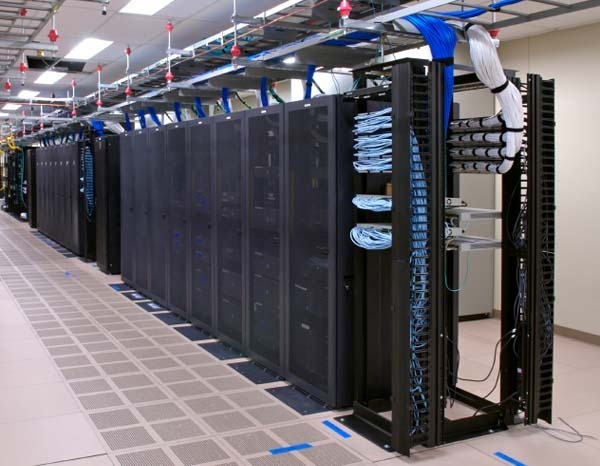 Essentially I have been working on the refurbishment of my (well its not mine – it belongs to my company) Data Centre. This has been and indeed still is a massive project for me (in fact it is by quite a long way the largest project of my career) – and represents the culmination of 6 years of lobbying, analysis, avoiding outsourcing and perhaps just plain whinging at the powers that be to have the belief and confidence to find the money to invest in our core computer room (which is over 30 years old) and was originally designed for use with an IBM Main Frame. However – perhaps sometimes you should be careful what you wish for, as, after a change of leadership at the “top table” as they say; in comes an new administration whom have direction and foresight and the willingness to make changes which, although risky are of major benefit to the company as a whole (I know that I would say that, but honestly their presence of mind has helped us move out of the dark ages) – but has left us in the (good) position where we are snowed under with work (people, understandably have this knack of wanting results when they invest a tonne of cash). Air Conditioning – the existing Air con is 30 years old and designed for an old IBM mainframe – it does not function in the expected way of floor void and grilles pushing air up into Hot and Cold isles – plus it fails – a lot which is not good. So as you can see, it is not the most straightforward of jobs and the above is really not doing the work justice when considering the overall requirements to get them in. The key thing to making this work has been my team (I really only stand in meetings, get yelled at, try to get money, get yelled at some more, buy stuff and ask them to do the odd piece of work) – they are the magic behind this logistics of the operation. As many of you whom are in management of any kind know – that you only succeed if the people whom work for you succeed, and I (IMHO) have an excellent bunch of people, whom in many cases are as close to me as family (aside from my wife and little one I don’t really have much real family – can I hear a violin?) and they are excellent performers. All of them are technically bright and determined and I am convinced that there is very little that can stop them from solving a problem – and indeed on this project they all have been faultless. Whilst it is true that for the moves of equipment I have designed the audits but they have performed all of the “due diligence” work to populates the audits, and indeed they have take lead on where servers and associated equipment should be moved to in order to accomplish the end goal. Additionally when things go wrong, I have no shortage of people who will volunteer to come to site, or stay on site all night / day until the job is completed. The Purpose of Phase 1 was the clear the first two rows at the front of the Data Centre and relocate them to either the back of the room or where space allowed in the middle. Once this was done the first section of new floor could be laid and the existing celing could be removed whilst also allowing for a new 1 hour rated fire wall to be built. It also provided space for Phase 2 where we could move our most critical services to the newly laid floor at the front of the room. We started very early in the morning on this one – as you can probably see from some of the very sleepy faces. This is (was) the first of our REALLY big moves, I call them really big as they involve all of our key systems and all of the heaviest kit that we have in the room. The purpose of this move was to relocate all of the kit in the middle of the Data Centre to the newly laid flooring which was completed as a result of phase one. Once done the floor can be laid across the middle section of the room. Again we started very early on a Saturday morning and worked all the way through until the Sunday afternoon – one of my guys slept onsite overnight to get it finished whilst updating me evey hour and I and another chap came in again very early on the Sunday so that services to our customers were returned as promised within our downtime window. So, there you have it, that is pretty much what has been consuming my life for the last few months, and indeed pretty much will until October the 6th where we are aiming for full completion. I will post some more on this (as well as some Exchange stuff) in the coming weeks.